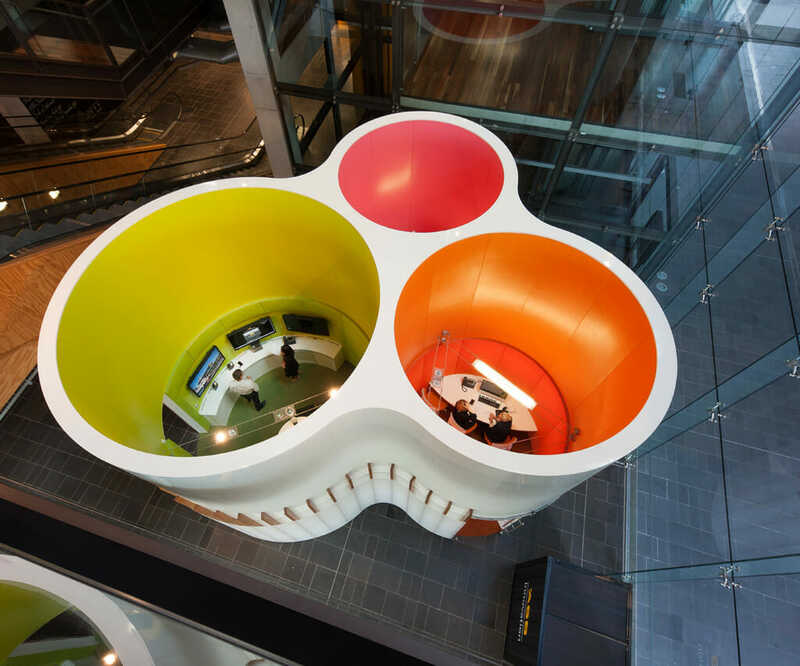 We’ve been creating the spaces that Kiwis love for more than 25 years, from outstanding shopping centres and office buildings, to thriving mixed use communities. Our properties are diverse environments that connect and engage people through great experiences. They are spaces where communities come together. We proudly directly own and manage a $3.0 billion property portfolio. We manage over $370 million of properties for third party clients. 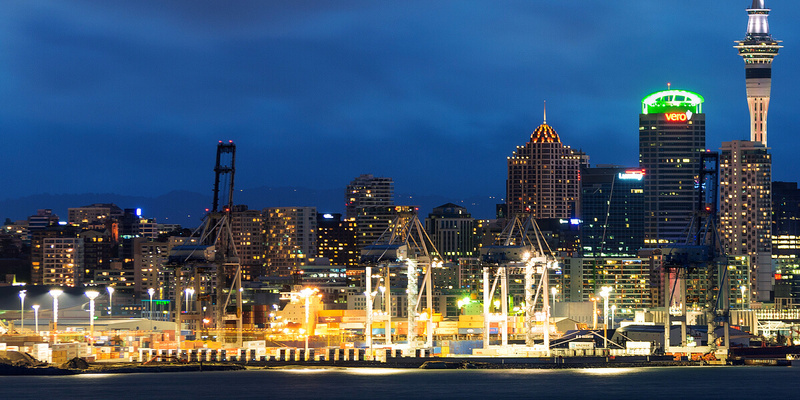 We invest only in New Zealand. 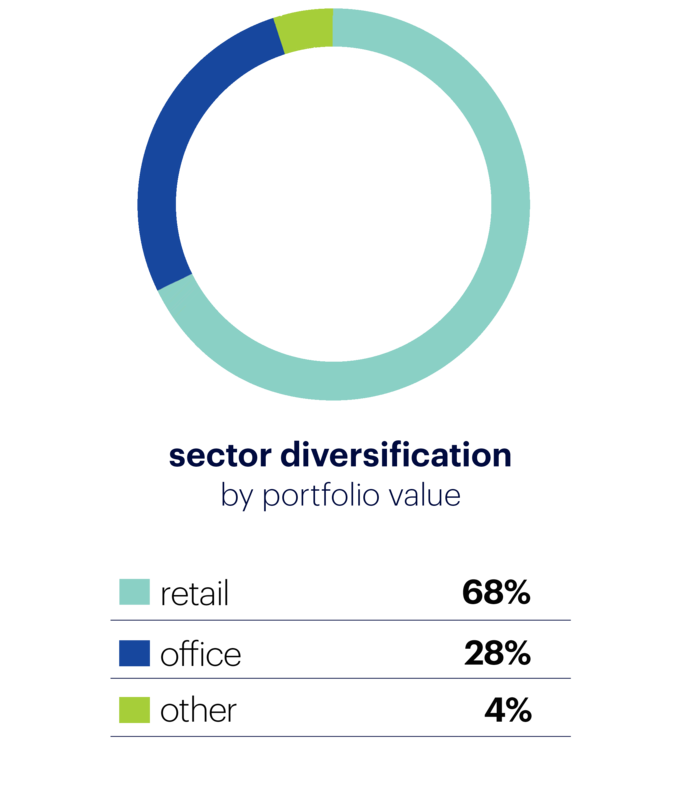 Our portfolio is diversified across sectors to smooth returns throughout the property cycles. 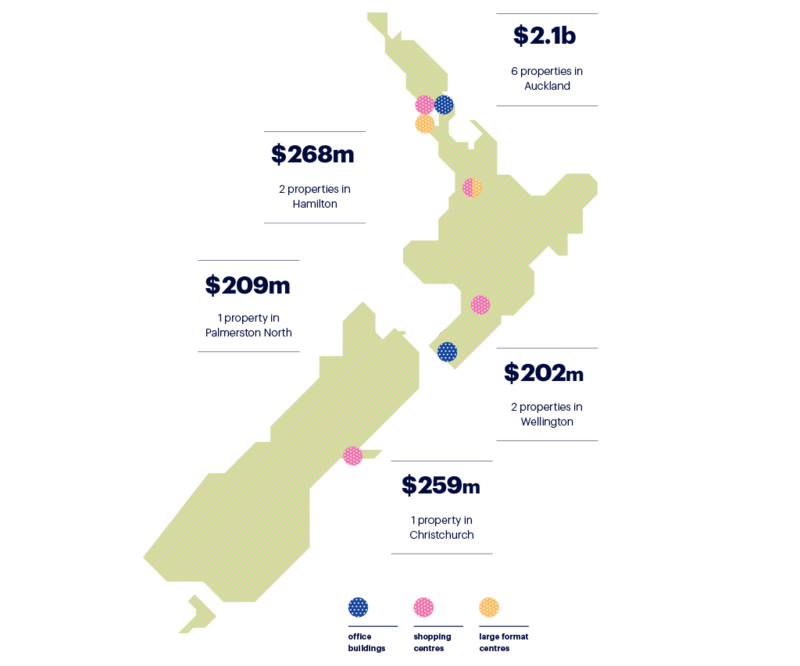 Our geographic diversification reflects our strategy of investing in New Zealand’s main centres, with a bias to the ‘golden triangle’, predominantly Auckland (in particular location favoured by the Auckland Unitary Plan), the Waikato. This bias is due to this region’s superior economic, population and employment growth prospects. Unless otherwise stated, all statistics are for the six months ended/as at 30 September 2018. Due to rounding, numbers within this page may not add up precisely to the totals provided and percentages may not precisely reflect the absolute figures. 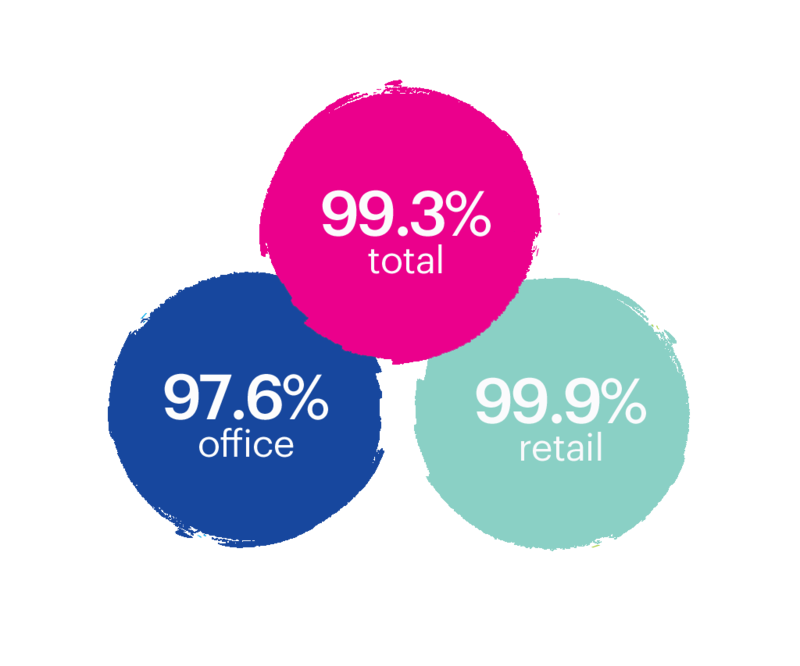 We work hard to ensure our assets remain at the top of their game, and we are consistently rewarded with high portfolio occupancy. WALT is a measure of the security of our rental income. It tells us the average term to expiry of our existing leases, weighted by income. 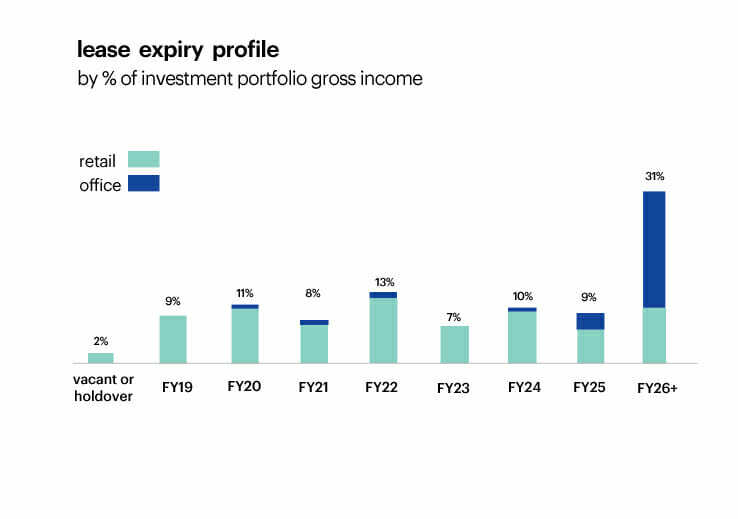 The lease expiry profile indicates the proportion of our gross income stream expiring in each financial year. 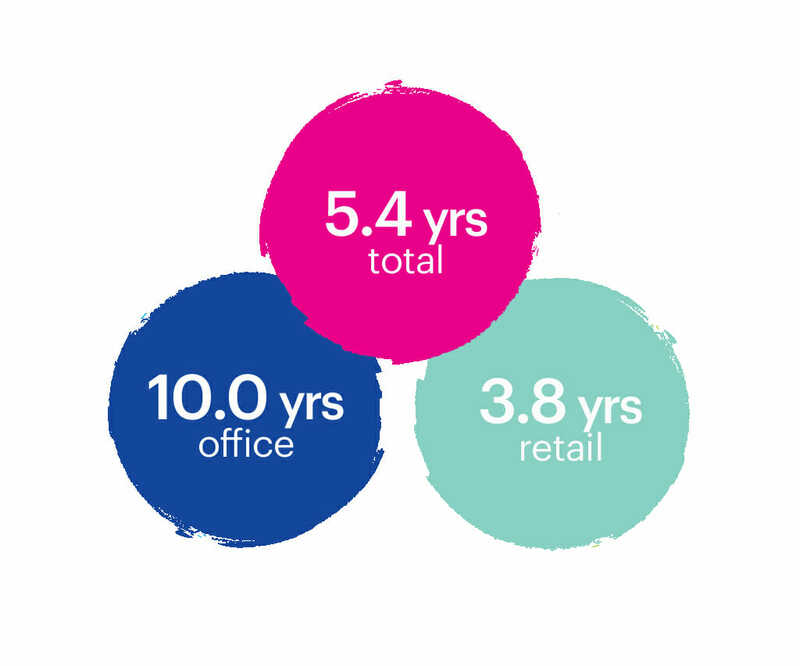 It’s important that we maintain tenant diversification to ensure we are not unduly exposed to fluctuations in any one market sector or single tenant. Our portfolio continues to attract a great range of tenants, across sectors.